How Was Alzheimer's Disease Discovered? 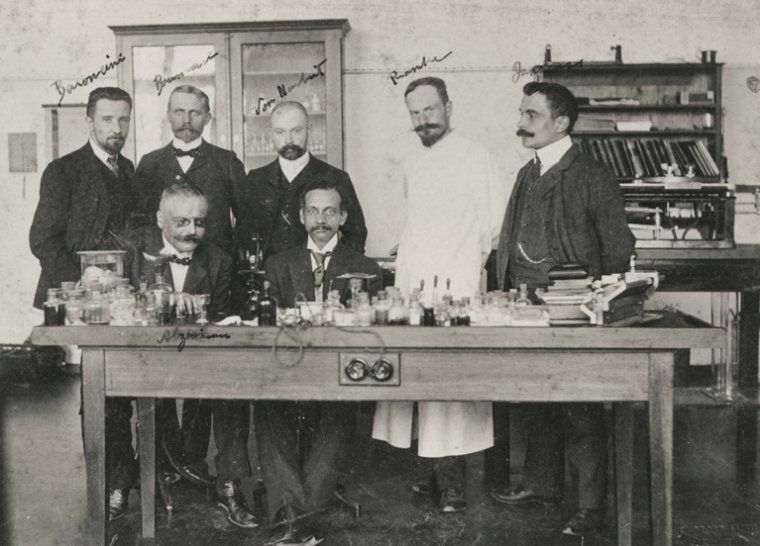 Alois Alzheimer is the person credited for identifying Alzheimer's disease in 1906. Alois was born on June 14, 1864 to Edward and Therese Alzheimer. Their family lived in southern Germany. After graduating with his medical doctor degree, Alzheimer took a position at the Community Hospital for Mental and Epileptic Patients in 1888. In 1902, he and a colleague, Emil Kraepelin, took positions at the Royal Psychiatric Clinic of the University of Munich. How Was Alzheimer&apos;s Disease Identified? One of Alzheimer's patients was a woman named Auguste D, who had been hospitalized since 1901. She was 51 years old and showed signs of dementia, including memory loss, disorientation, aphasia, confusion, hallucinations and delusions. Alzheimer treated her and documented her symptoms in depth, as well as his conversations with her. He noted that at one point when Auguste was unable to correctly write something, she stated, "I have lost myself." After Auguste died in 1906 at the age of 55, Alzheimer asked that her brain be sent to him for his research. When he studied it, he discovered that it contained the characteristics that we now think of as hallmarks of Alzheimer's disease, specifically a buildup of amyloid plaques and neurofibrillary tangles. Her brain also showed cerebral atrophy, another finding typical in Alzheimer's disease. Interestingly, it was not until 1995 that we found Alzheimer's medical records documenting his care of Auguste D. and conversations with her, as well as sample of her brain tissue. His notes gave us additional insight into Alzheimer's research and also allowed scientists to directly verify the brain changes he had described in his lecture. Alzheimer died on December 19, 1915. He was only 51 years old and died from an infection in his heart. How Did Alzheimer&apos;s Disease Get Its Name? In 1906, Alois Alzheimer gave a lecture outlining the symptoms of Auguste as well as the changes he saw in her brain following her death. In 1907, this lecture was published. However, it wasn't named after Alzheimer until 1910 when Emil Kraepelin, Alzheimer's coworker, wrote about the case of Auguste D in a psychiatric textbook and first referenced it as "Alzheimer's disease." Interestingly, in 1884 when Alzheimer was 20 years old, he was involved in a fencing duel and the left side of his face was marred by a sword. Since that time, he was careful to only have the right side of his face shown in photographs. Alzheimer was unique in this era for several reasons. First, he was an excellent scientist, taking detailed notes and using the latest research techniques. In addition to identifying Alzheimer's disease, his research also included specific findings of brain changes in Huntington's disease, arteriosclerosis and epilepsy. Alzheimer also placed much importance on speaking and dialoguing with his patients at a time when many physicians interacted very little with those in their care. Alzheimer also is credited for implementing policies at the asylum against restraining patients. He required that his staff treat patients humanely, interact and frequently talk with them, and provide therapeutic baths for them. Previously, patients in an asylum received little care, and the isolation room was utilized frequently. In this way, Alzheimer made a significant contribution to the medical world by impacting how physicians viewed and treated patients as individual persons.